Buildings may be brick and mortar, the embodiment of design and engineering principles, but they are also much more than that. During the last decade, it seems that property developers have dominated the imagined – and real – future of our cities, Johannesburg more than others. It’s time that conscientious architects take back the power to conceptualise, and create, a “World-Class African City” that means something beyond an empty slogan. By CARIEN ELS. I walked into Architecture ZA 2010 (AZA 2010) with a clear, relatively standard, point-form list of what I was looking for. Nothing grandiose; a simple case of go, listen, learn, report back on the obvious things: new trends in architecture, green buildings, beautiful ideas, safety and new materials. By the end of day three I was hyperventilating. I had nothing – or at least nothing as concrete as my list required of me. I did, however, emerge from the event with a new-found wonder at the complexity of architecture as a discipline. At first I was overcome by a sense of unnerving disjuncture at the disparity between the small section of trade exhibitors (who displayed all sorts of necessary practicalities such as taps and basins, window-shutters and home elevators) and some of the deeply conceptual panel discussions, laced heavily with notions like “civic imaginary”, “historicities” and “space-making” that were bound to sit uncomfortably with tangible realities like concrete and light fittings. Yet, however foreign these seemingly incongruent notions may be, the reality is that the common, uniting ground of this particular grouping of philosophy and practicality is in fact what architecture is all about. This notion of “remaking the world” was the central theme behind the AZA 2010: more principally the idea of re-imagining cities, Johannesburg especially. 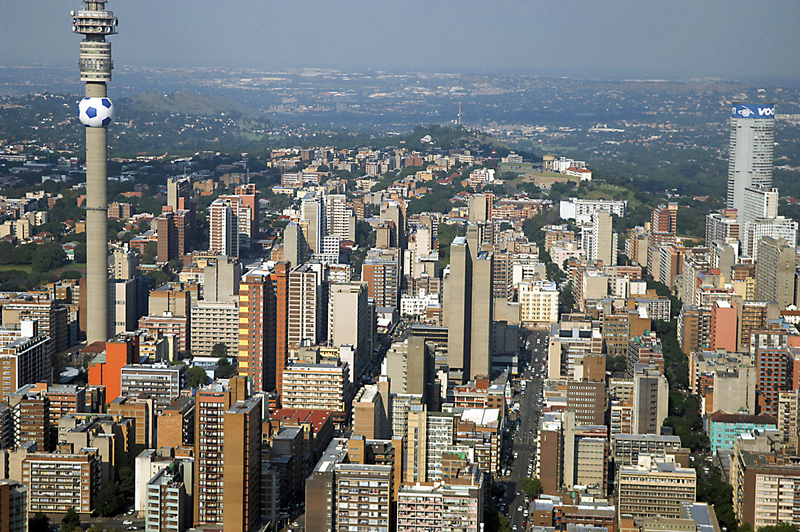 The city of Johannesburg has undoubtedly changed dramatically over the last decade or so. It has exploded in all directions, seemingly without the benefit of the type of philosophical thought-experiment architects have been engaging in for the previous four days. Instead, urban expansion has been disproportionately driven by property developers, and one could rather seriously theorise that some of these ill-considered, profit-driven developments are the source of the sprawling, over-congested, over-Tuscanised Johannesburg we see today. But where have the architects been in all this? Surely they haven’t actually helped to design square kilometre upon square kilometre of Tuscan-façaded, headache-inducing monstrocities, nor dusty plains full of linear, uninspired RDP developments? Architect and chair of one of the sessions at AZA, Mokena Makeka, acknowledges that many in his profession have bowed to the urgency of economy and become mere tools in the building process, rather than drivers of intelligent, sustainable building. Perhaps it is this need for an extended participation of conscientious people in the built environment that drove AZA into creation. The likes of Rem Koolhaas notwithstanding, we increasingly see the demise of the architect as a rock star of the design world. The architects of the 20th century were individual demi-gods who designed singular, awe-inspiring buildings: the Le Corbusiers and Gaudis of the world. Yet the environmental and social challenges presented by our cities today have necessitated that the notion of architectural design extend far into the urban landscape, taking into consideration aspects of ecology and environmental sustainability, cultural sensitivities and meaning, history and future imaginings, practicality and art or, as Spanish architect Fernando Menis would say, “reason and emotion”. What emerged from the discussions throughout the conference is that architecture is moving into a space that is increasingly humanist in nature, while being forced to be deeply sensitive to the environment, and to be at the forefront of technology. Not a small thing to ask of one profession.